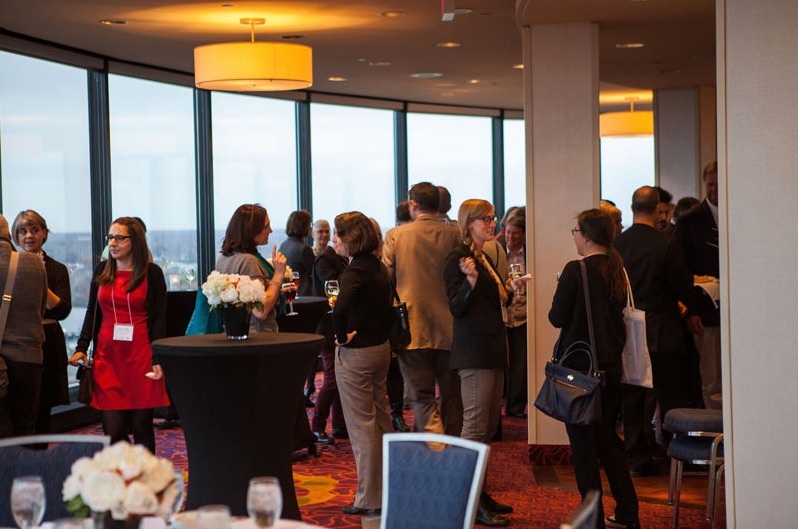 The CRKN/CARL 2015 meetings took place at the Ottawa Marriott Hotel on October 20-22, 2015. The 2015 CRKN-CARL AGM concluded on October 22 in Ottawa, Ontario with very positive feedback from attendees. Information has been compiled on the event for members to review. Attendees received an update on key achievements and plans for the CARL committees. Results from the external review of the Librarians’ Research Institute (LRI) were shared and a member update on Portage was provided, followed by a question period for attendees. Members of the Model License Task Group provided an update on the work of the MLTG and the work carried out to date in revising the CRKN Model License. The MLTG is currently preparing a draft license, which will be made available for review within the membership. Legal counsel will provide further consultation, after which the final recommendations will be shared with the Content Strategy Committee and the CRKN Board of Directors in 2016. Karen Grant (Provost and Vice-President, Academic & Research, Mount Allison University) and chair of the Institutional Mobilization Task Group (IMTG), provided an update on the work of the group in identifying challenges within the current publishing landscape, developing a toolkit for members to utilize in discussion with other institutional stakeholders including providing calls to action for researchers and administrators in order to address these challenges. Jean Blackburn (Librarian & Collections Coordinator, Vancouver Island University) provided an overview of elements found within the Institutional Mobilization Toolkit inviting member so provide feedback on the relevancy of content and efficacy of the toolkit format and visuals. Kimberly Silk (Special Projects Officer, CRKN) and Clare Appavoo (Executive Director, CRKN) summarized the vision of theIntegrated Digital Scholarship Ecosystem (IDSE) and reviewed recommendations garnered from the 2014 AGM. Key steps taken to date were discussed, and current areas of focus were identified. Next steps for the project include the development of a communications forum for members to converse and collaborate (aimed for release in early 2016), in addition to an ongoing scan for existing digital projects and future opportunities. Members are encouraged to share any opportunities or initiatives of relevance, as well as any further ideas and feedback for the project. The Open Access session started with a look at some international initiatives, some Canadian and more specifically the Érudit/CRKN initiative. Kathleen Shearer (Executive Director, Confederation of Open Access Repositories - COAR) provided an overview of the current trends with open access repositories and shared some of the strategies and future developments that COAR is planning. An update on the SCOAP3 initiative was provided by Clare Appavoo, detailing the participation of forty-six countries, and the governing council plans for an approach to the next three years of the project. Highlights from the white paper from the Max Planck Institute regarding the proposed conversion of subscription journals to open access was presented and members discussed the premise of the paper from a Canadian perspective providing input to those who will be attending the Open Access conference in Berlin in December. Leslie Weir (University Librarian, University of Ottawa) delivered an update on several Canadian OA initiatives, including the work of CARL’s Open Access Working Group and the Canadian Journals Working Group in collaboration with CALJ. The work of the Public Knowledge Project was highlighted, with emphasis on their strategic partnership with Scholars Portal and the John D. And Catherine T. MacArthur Foundation Grant that has been received. Several individual institutional open access initiatives were highlighted including the University of Alberta Libraries offer of its hosting services to any Canadian scholarly journal, and University of Toronto’s agreement with Canadian Science Publishing to simplify open access compliance for authors. Érudit’s Executive Director Tanja Niemann delivered a summary of work done on the partnership to date, as well as an overview of the survey that is being conducted on the economic situation of journals in Canada and details on the seminar that is being held November 17 in Montreal. The presentations were followed by a panel discussion on the elements necessary to create a sustainable Canadian scholarly journals environment, with panelists from the library, journal, platform, and research community. The session most highly rated by survey respondents was the session on Copyright, in which the guest speakers Michael Geist (Canada Research Chair in Internet and E-commerce Law & Associate Professor, University of Ottawa) and Michael Jaworski (Adjunct Professor, Law and Business Communications Division & Legal Counsel, University of British Columbia), together with Victoria Owen (Chief Librarian, University of Toronto Scarborough), provided an update on various national and international copyright and information policy issues and discussed best practices in campus-wide copyright management. Toward the end of the session, members had a chance to provide suggestions about advocacy priorities and ideas for next steps in the field of copyright. Marie DeYoung, (University Librarian at Saint Mary’s University, and Past-President of the Canadian Library Association) together with Susan Haigh (Executive Director, CARL) outlined the proposal developed over the past year by a Working Group with input from stakeholders and from a Financial Task Group who explored options for financing a new federated association model. Members had the opportunity to discuss the proposed model to provide a national voice for the library sector that would leverage the aggregate voice of other library associations. In particular, attendees highlighted that the participation of the Quebec Library Association was absolutely essential to the legitimacy of the new organization. Carol Shepstone (University Librarian at Mount Royal University and Vice-Chair CRKN) reviewed the progress made towards the objectives of CRKN's 2013-2016 Strategic Plan and discussed the possibility of extending the current plan for an additional two years, including an exploration of themes for continued strategies to achieve the current strategic objectives. The meeting included 53 member institutions present in person. The financial statements were reviewed, auditors were appointed, new Board members as elected were confirmed, a new membership fee structure (beginning in fiscal year 2017-18) was approved and members supported extending the existing strategic plan with updated tactics until 2018. The event concluded for CARL members with their business meeting. 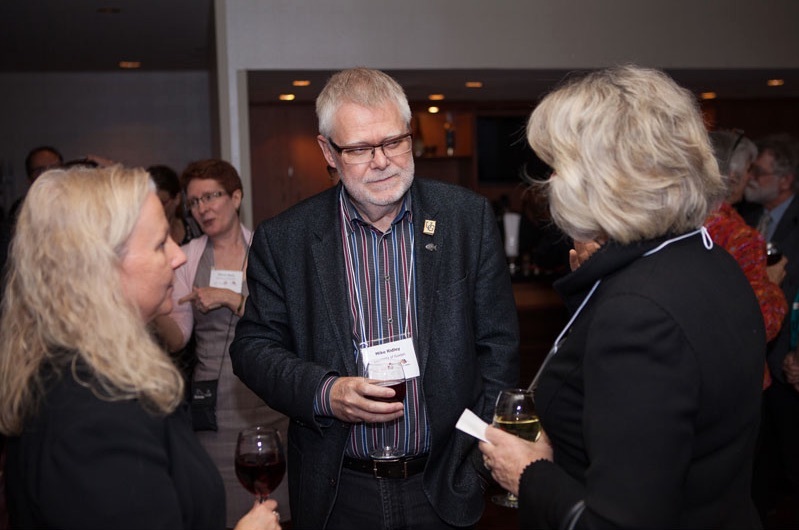 Social events during the meetings included a well-attended Welcome Reception at the University of Ottawa and an All Delegate Dinner and Reception in the scenic Summit room at the Ottawa Marriott Hotel, where Mike Ridley was honored with the Ron MacDonald Distinguished Service Award.